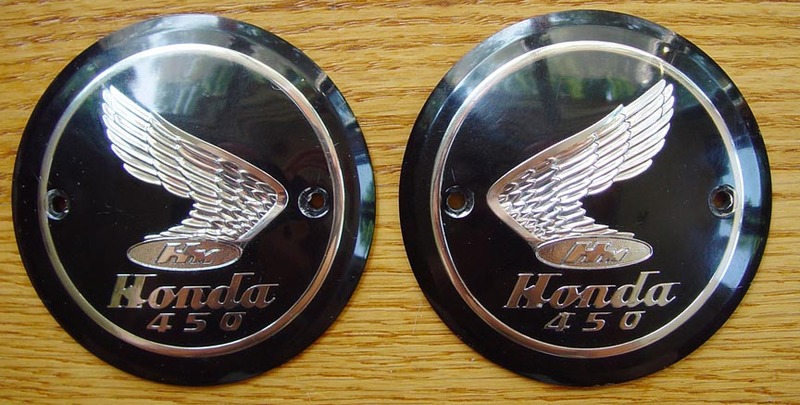 The original plastic tank emblems for the CB450K0 "black bomber" (and the 450D scrambler version) have "speed lines" on the letters (which are script) and numerals. All emblems were silver-in-black as in these examples. Emblems that appear gold or brassy have discolored from aging of the clear plastic. Original tank emblems for the CB450K1 and CL450K1 used block-style letters and numbers, with serifs but without "speed lines". 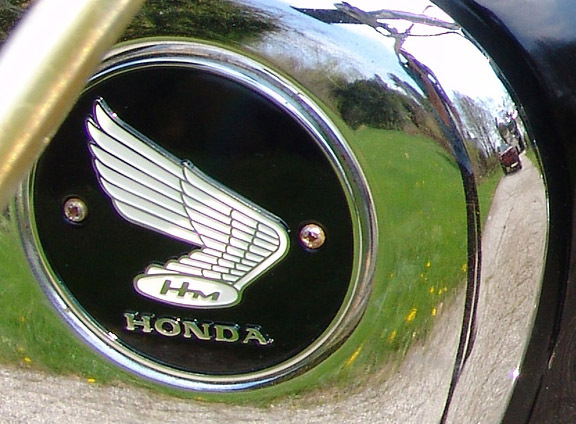 Because these emblems were only produced for the K1 models, which were sold only for two years, they are much less common than the "bomber" type emblems, which were fitted to CB450K0 models sold for nearly four years. 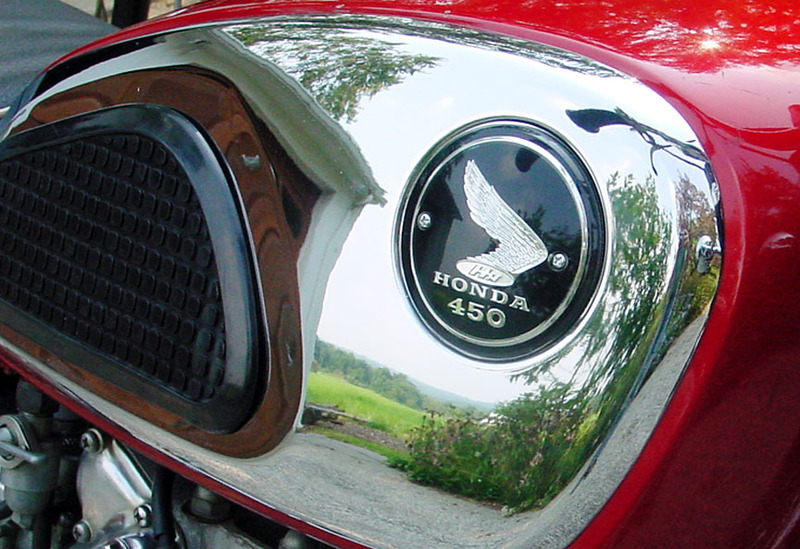 As it became apparent that the original plastic tank emblems were degraded by exposure to sunlight, Honda began offering similar-looking metal and baked-enamel emblems for replacement purposes, as shown below. These high quality emblems are still commonly available NOS.